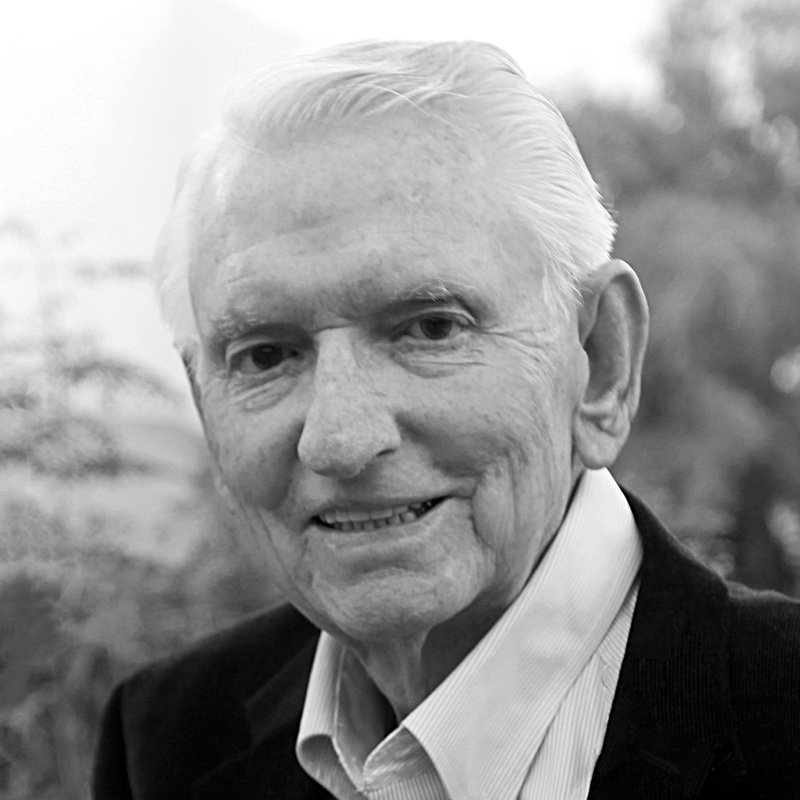 Dr. George N. Smith, 87, Mesa resident and longtime Arizona educational leader, passed away on December 10, 2014 after suffering a serious fall at his home. Up to that day, George was physically healthy, mentally sharp, and fiercely independent. He lived his life to the fullest and touched the lives of thousands through his accomplishments as an educator, his public service, and his love of people. George was born on February 11, 1927 in Safford, Arizona, the third son and youngest child of Howard and Lillie Smith, who had moved to the neighboring town of Thatcher from Kentucky in the early 1920’s after Howard was gassed in WWI. He graduated from Thatcher High School in 1944. George excelled in all sports in high school, and was recognized as one of the finest basketball players in the state during his era. In his early teens, he was deeply impacted by the death of his older brother and hero James, who was killed in action in the Philippines early in WWII. This moved George to enlist in the U.S. Army and become a paratrooper, even though he could have received an exemption from service. He was stationed at Fort Benning, Georgia when the war ended. After completing his Army service, George returned to Arizona to attend Gila College for a short while and to marry Mary Alice Ellsworth from Safford. They were wed June 3, 1947 in the Mesa Arizona LDS Temple, and began a partnership whose earthly portion would last more than 57 years. George and Mary Alice were soon headed to the University of Utah, where George studied engineering and played basketball for the national powerhouse Runnin’ Utes. George reveled in his time at Utah, especially the annual road trip the team took to play before the large crowds and national press at Madison Square Garden in New York City. Later in college, he changed his major from engineering to education, which set the stage for a long career serving the children of Arizona. George played basketball well enough at Utah to earn an offer to play for the Boston Celtics of the then fledgling National Basketball Association. However, the NBA at that time was part-time work that paid slightly less than a job as a head teacher, so George turned down the opportunity to go to Boston, and instead moved with Mary Alice and new daughter Diana to the small farming town of Arlington, Arizona where he became head teacher/principal of the area school. He was only 22 years old. After four years in Arlington, George accepted the job of superintendent of the Flowing Wells School District in Tucson, where he would serve for the next fourteen years. During his tenure at Flowing Wells, the district became nationally known for excellence, a culture that continues to thrive nearly 50 years later. Although just in his 30’s, George was recognized throughout the state and country as a leader in school planning, finance and leadership. In 1967, under George’s leadership, Flowing Wells High School was recognized as the finest high school in the country. That same year, he was named superintendent of the Mesa Unified School District. While George was superintendent, Mesa grew nearly three fold to become the largest school district in Arizona, with over 50,000 students. He directed the building of 45 new schools. The district also became widely known as a leader in educational achievement and won numerous state and national awards for excellence and innovation. As a tribute to his service in Mesa, George N. Smith Junior High School is named after him. He took a personal interest in “his” school, and was active in school activities, including funding scholarships for student-athletes at the school. In addition to his degree from Utah, George earned a Masters Degree from Arizona State and an EdD at Stanford University and Arizona State. After retiring from Mesa, George served as an Executive Vice President of Northern Arizona University. At NAU, he directed the effort to establish satellite campuses around the state, which has enabled thousands of Arizonans to earn degrees without leaving their hometowns. He finally left education in 1988, becoming the Arizona dealer for the Thomas Bus Company, one of the largest school bus manufacturers in the country. In 1992, George retired, and he and Mary Alice settled in Mesa. They served for many years as ordinance workers in the Mesa Arizona LDS Temple, a calling they both loved. Mary Alice passed away unexpectedly in 2004. George was noted for his long morning walks around the neighborhood with his dogs. Those walks would often take hours, as he stopped to chat with neighbors, children waiting for the school bus, postal workers, city workers, and whoever else with whom he could strike up a conversation. George loved people and people loved him. During his long career, George received numerous awards and recognitions and served with distinction on a variety of boards and commissions. He was a member of the Arizona State Board of Education for six years, was the founding president of the Arizona School Administrators, was on the Executive Board of the American Association of School Administrators, and was appointed twice by President Ronald Regan to serve on the President’s Intergovernmental Advisory Council on Education. At the time of his death, he was still involved in education, serving on the board of the East Valley Institute of Technology Foundation. His son Scott was also involved in public life, serving as Mayor of Mesa from 2008 to 2014. George was preceded in death by his parents, Howard and Lillie, brothers Howard. Jr. and James, sister Mary Jarvis, wife Mary Alice, and grandson Mark Johnson. He is survived by daughters Diana Thomas (Charles) of Mesa and Jennifer Johnson (Richard) of Bountiful, Utah, sons David (Laura) and Scott (Kimberly), both of Mesa, 17 grandchildren, 30 great grandchildren, and his long-time companion and best friend Shauna Setlow of Mesa. A visitation and viewing will be Friday, December 19th from 6 to 8 PM at the Bunker’s Garden Chapel, 33 N. Centennial Drive in Mesa. Funeral services are Saturday, December 20th at 11 AM at The Church of Jesus Christ of Latter-day Saints, Mesa Arizona East Stake Center, 2228 E. Brown Rd., Mesa, preceded by a visitation at 10 AM at the church. The family suggests donations to the George and Mary Alice Smith Scholarship Fund at Smith Junior High School in Mesa. My husband and I started teaching for Mesa Public Schools in 1976. We met Dr. Smith at the new teacher’s orientation meeting and then saw him several times throughout the years as he walked through observing “his” teachers. Many years passed and we ran into him several years ago while out shopping and guess what? He knew us by name! Dr. Smith knew how to make a person feel valued and for this, he will always be remembered by us. My husband and I started teaching for Mesa Public Schools in 1976. We met Dr. Smith at the new teacher’s orientation meeting and then saw him several times throughout the years as he walked through observing “his” teachers. Time passed and we ran into him several years ago while out shopping and guess what? He knew us by name! Dr. Smith knew how to make a person feel valued and for this, he will always be remembered by us. I had the privilege to meet Mr. Smith while I worked at Smith JHS, (named after him) when he would attend events at our school. He was delightful and always had interesting stories to tell. He was especially proud of his son Scott! We are too, by the way, for all you have done for our city! Prayers go out to all of you in his family. He was a good person and truly loved the kids. My heart is broken at the loss of Dr. Smith for his entire family. I was working in Mesa Schools when he came to Mesa School, along with Bill Lovett. What a pair and how lucky Mesa Schools was to get him as our school superintendent. He was the best superintendent and friend a person could have had in their lifetime. Dr. Smith never thought more of a certified employee than a classified and treated us all equal. I was fortunate to not only be an employee but a friend of Dr. Smith attending many parties and gathering with him and Mary Alice. I worked several years with his son David and there is another great “Smith.” Dr. Smith never failed to call you my your first name and knew you in the grocery store or in the office or out in the school field. I feel so fortunate to have met and worked for a man of his honesty, caring, loving man he was. My condolences to his entire family and God Bless each and everyone of you. I.had intended to bring my dad to the viewing,but he called and said he didn’t think he had the stamina to stand for that long. As the former Committee Chair of the Mesa Sports Hall of Fame, he wishes to to convey his condolences to George’s family and would like to pay tribute to ‘ol Spec for all the improvements to the athletic programs and number of state championships during his tenure at Mesa Public Schools. He feels it was an honor to call him a friend and to associate with him over the years. He will be missed!